After Apple’s launch of its latest models, iPhone XS, iPhone XS Max, iPhone XR and Series 4 watches and their market prices’ revelation in India, the company has released its price cuts on all the older iPhone models. The company has brought down the older ones in India as well as in the global front. iPhone 6s, iPhone 6S Plus, iPhone 7, iPhone 7 Plus, iPhone 8, iPhone 8 Plus and iPhone X are the ones that have been included in the price cut. The iPhone range starts at Rs. 29,900 now. One can get the oldest of all, iPhone 6S, at this price. The 128 GB storage version is priced at Rs. 39,900.
iPhone 6S Plus, that has been discontinued in the US, will be available in India at Rs. 34,900 for its 32 GB version. One can purchase iPhone 7’s 64 GB variant at Rs 91,900 and its 256GB version’s price has been brought down to Rs 1,06,900.
iPhone 8 and iPhone 8 Plus, which were launched in 2017, have also received price cuts. The 64GB and 256GB versions of iPhone 8 are now available for Rs 59,900 and Rs 74,900 respectively. iPhone 8 Plus has set its price as Rs 69,900 for its 64 GB version and Rs 84,900 for the 256GB one. 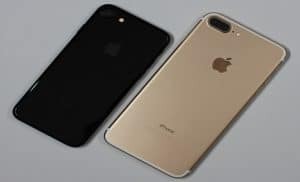 It has been reported that the new iPhone devices, iPhone XS, iPhone and XS Max, that were launched recently will be available by September 28. While the iPhone XR devices are slated to be made available in the later part of October. iPhone models like SE, 6s, 6s Plus, and iPhone X have been discontinued in the US. In India, however, only the iPhone SE device has been reported to be discontinued.